We seek to revolutionize cybersecurity for the nation, conclusively surpassing the speed and scale of cyberattacks through the universal automation and interoperability of cyber defenses. Swathi Joshi from Netflix's Security Incident Response Team shares insights on how they use security orchestration. The conference is hosted by the Johns Hopkins University Applied Physics Laboratory (JHU/APL), in collaboration with the National Security Agency (NSA) and the Department of Homeland Security (DHS). 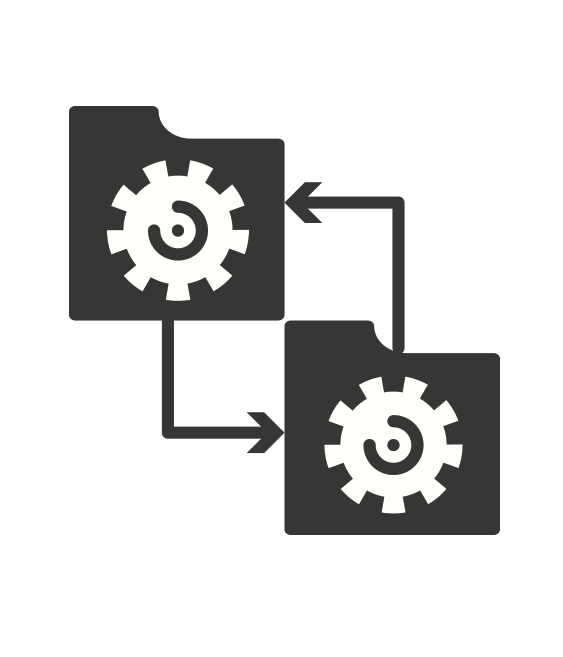 Our goal is to dramatically change the timeline and effectiveness of cyber defense via integration, automation, and information sharing. Register here. 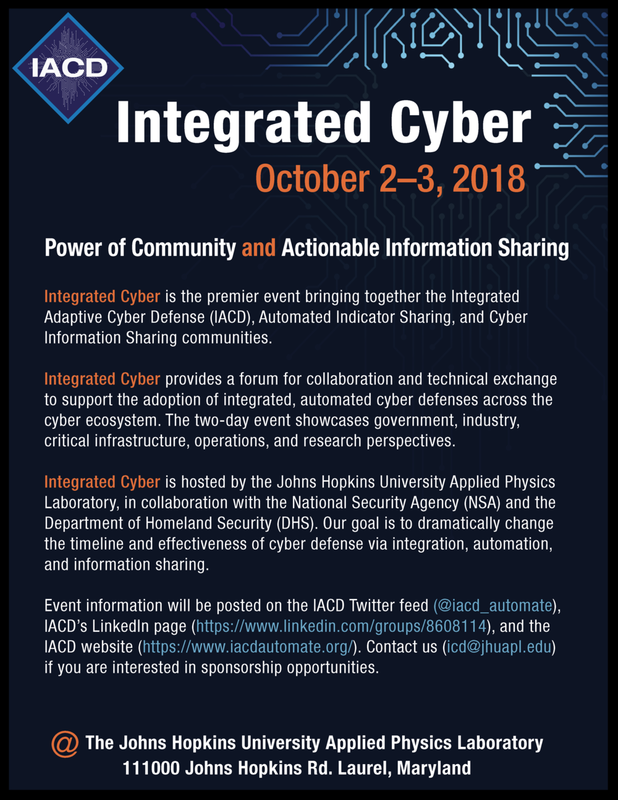 The most recent Integrated Cyber event was held on October 2 and 3, at the Johns Hopkins University - Applied Physics Lab in Laurel, MD. Two days of featured speakers and breakout sessions on the themes of “Connecting People and Organizations to Communities” and “Actionable Information Sharing”, vendors showing off how they implement the Integrated Adaptive Cyber Defense (IACD) Principles, and opportunities to socialize. Slides and videos are now available here! IACD is teaming with the Financial Services Information Sharing and Analysis Center (FS ISAC) to operationalize the Integrated Adaptive Cyber Defense framework for cybersecurity automation, orchestration and information sharing.